Available in two gorgeous colour ways, chestnut and magenta, the Hunter Love Dress, flows and ripples as you walk. 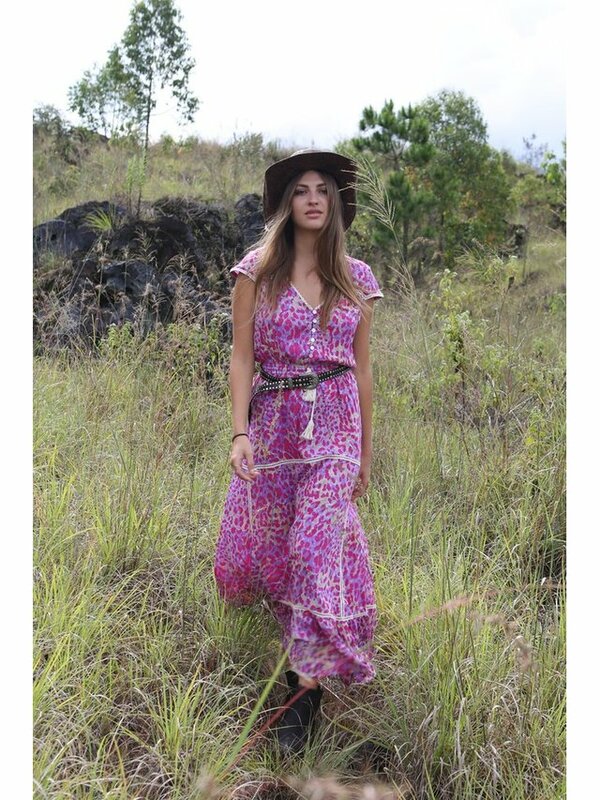 This stunning dress, in our lovely handmade print, is made from the softest, lightweight rayon and falls beautifully. The Hunter Love Dress, featuring adjustable spaghetti straps and unique crochet lace trimmings is soft, floaty and feminine. It has the most beautiful cut out back. Our beautiful Hunter Love Dress will have you feeling and looking like a goddess!